All the groups listed are run independently and we are happy to list them here. 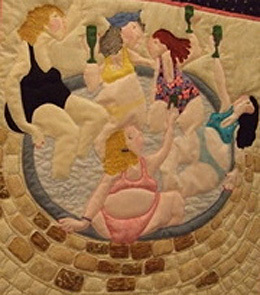 Many people belong to a local group as well as to Norfolk Quilters in order to enjoy the benefits of both. If you wish to add a group or update details please go to the Contact Us page for contact details. More information can be included on the web such as meeting times and email addresses; contact the Web Editor for this but please remember it is your responsibility to keep the information up to date. If you would like to have further information of any particular group and would like someone to contact you, please click here to contact us.